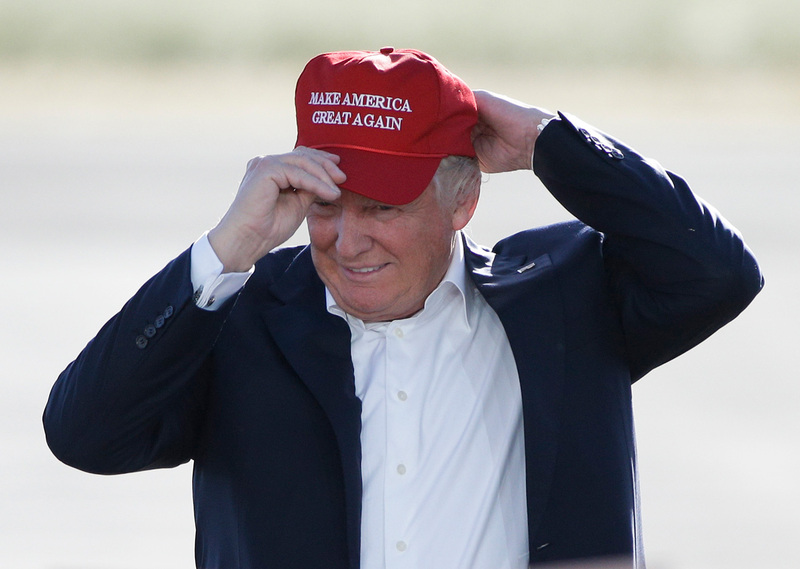 Donald Trump wears his "Make America Great Again" hat at a rally in Sacramento, Calif.
Press secretary of the Russian president, Dmitry Peskov, considers it a big mistake to think the U.S. President-elect Donald Trump is "our" man. "He is not our man, he is America's man," the press secretary said in an interview with the Vesti on Saturday weekly television program, a fragment from which Rossiya 1 broadcasted on Jan. 20. "He is president of the United States of America." "It must be the biggest mistake by western analysts, by some of our political analysts to consider him being our man," he said. On Jan. 20, Washington will host the inauguration ceremony for the U.S. 45th president Donald Trump. On Jan. 19, the New York Times wrote "American law enforcement and intelligence agencies are examining intercepted communications and financial transactions as part of a broad investigation into possible links between Russian officials and associates of President-elect Donald J. Trump, including his former campaign chairman Paul Manafort, current and former senior American officials."